I’m writing this on Teacher Appreciation Day. It comes every May, and at my school, our wonderful PTA treats us to a luncheon. All over social media, you see memes with apples and thank-you posts to teachers. This year, my last since becoming an educator in 1985, I’m reflecting on what appreciation really means. 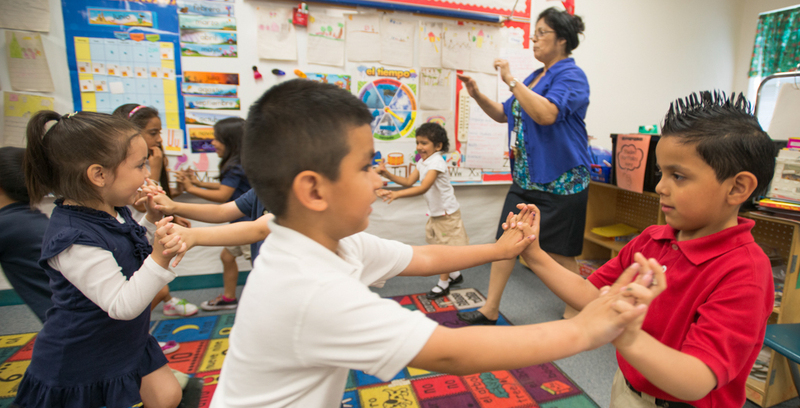 Beginning teachers in Fort Worth ISD make $5,000 more per year than those in Austin ISD. No wonder many of our best and brightest educators are moving there. Teaching is the largest profession in the nation, and recently we’re seeing something new. Teachers in right-to-work states, those without labor unions with collective bargaining rights, are staging walkouts, including West Virginia, Oklahoma, North Carolina and Arizona, and they are succeeding. Public opinion is on their side. Arizona teachers just won a raise of 19 percent while Oklahoma teachers, ranking last in teacher pay, earned a $6,000 raise. The situation in Oklahoma is so dire that 212 schools in 91 of the state’s 510 districts can only offer classes four days a week. Among the professions requiring a college degree, teachers earn the least. Detractors go on and on about summer vacation, but the truth is, summer “vacation” is really mandatory, unpaid leave and most teachers would gladly work longer for better pay. In fact, many do work at other jobs during the summer and/or school year to make ends meet. The big question: Will Texas teachers walk out? I certainly hope so. January begins the next regular legislative session, and a statewide teacher walkout may be our last, best option to be heard at the Texas legislative level. The state has a school-funding crisis that our legislators refuse to fix. The Texas Supreme Court essentially ruled that our school finance system is lawful but awful, but lawful. Next school year, due to outdated school finance formulas, Austin ISD must give away 52 percent of our property tax revenue, or $670 million. That’s more than any other district in the state, although almost 60 percent of our students qualify for free or reduced lunches. While other states depend on four streams of revenue — taxes on personal income, business activity, sales, and property — Texas has no personal income tax. That’s great, but how many businesses will continue to want to move to a state where they have to import skilled workers because the state refuses to adequately and equitably fund public education? Next time you get in a conversation with a blue-state resident, compare property tax amounts. You’ll see that we’re suckers after all. If you really appreciate teachers, please send us personal notes, because we really do treasure and save them, but also support us in our efforts. Happy, well-compensated teachers with reasonable class sizes and schedules make for better educational outcomes and a better future for all Texans.